they sing in here. Listening really good made me gamble a bit. I think I hear the word ‘Wango’ a few times so that leaves 3 & 4.
unknown. I just gambled and suggest track 4 is the unknown factor. I might be wrong, if anyone can clear up this matter, that would be great. If I mistake you should all rename the tracks in the right order and so. One way or the other, this is a fine piece of Senegalese music history. ‘Seeri Takama’, a name that does not appear on the sleeve at all. Could that be the missing track ? This entry was posted in Afro-Cuban, Mandingo, Mbalax, Senegal by Moos. Bookmark the permalink. 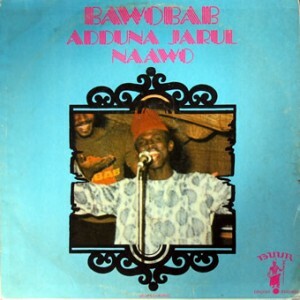 Hmm, well, the second cut (“Adduna Jarul Naawo”) appears to be the same song that is called “Dée Moo Wóor” on the Nonesuch disc Specialist in All Styles (2002). Also, cut 3 (“Sama Xol Bul Dem”) is the same song as the one called “Sama Rev” on the Africando disc Tierra Tradicional. This album was posted with eight songs by Oro, after comparing it, trying to find the mysterious track. If I’m right “Sama Xol bul dem” My heart I will not leave you, and then comes the theme (Yanfa Magni) in Mandinka, something like the grudge is bad. Just to say track 4 is called “Kanoute”, I shall check the other tracks and let you know. Just to let you know the rest are what you say they are. And what a fine album from a band at the top of their game. Thank you for your support guys, good work ! True,the unknown song that I identified as Yanfa magní,is officially called, Kanouté. … seems like each you put blacks & portugueses together they’re gonna make the best music of the continent. Absolutely great stuff Arnaud, thanks for the tip. I knew some of that from this cd-box I bought few years ago. Hard to find on LP I guess. I have enjoyed this LP, terrifc horns and arrangement!